Experience tranquillity by the beauty of Bassenthwaite Lake. At Armathwaite Hall Hotel & Spa, luxury is everywhere. Situated in the beautiful English Lake District between the market towns of Keswick and Cockermouth, there is a wealth of fun and exciting things to do for all your teambuilding activities. A multi-million pound spa and function room opened in 2009. Each room in this feature hotel is purpose-built for quality, with distinct characteristics. Bedrooms fall into 7 categories, from large, comfortable family rooms through to the most majestic studio suites. The Chef takes advantage of a wealth of local seasonal produce and Cumbrian specialties to create a variety of gastronomic delights. His dishes draw inspiration from both traditional English fayre and classical French cuisine, refined to reflect today’s lighter, healthier lifestyle. Choice of eateries at Armathwaite Hall Hotel & Spa include Lake View Restaurant, Courtyard Bars & Brasserie, Conservatory and Lake Room. 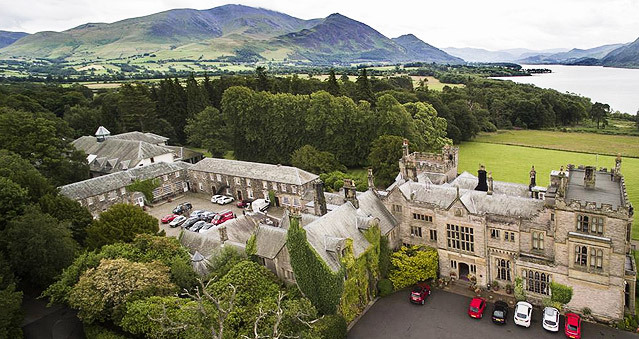 Armathwaite Hall Hotel & Spa offers the perfect location to host teambuilding events – Real Life Clu’Doo, Escape the Box, No Ordinary Quiz, The Haka Experience, Murder Mysteries, Ipad Movie Making and so many more.